I am going to guess that you wanted to know how to fix WordPress theme issues after installing or updating? It’s a common thing to experience some form of a problem when installing or updating a theme. It also does not matter if you downloaded your theme from a reputable source, it happens. Everyone gets frustrated when errors show up, or worse, your website breaks! You spent a lot of time building your website so it’s only fair that whatever you install works. I can even admit experiences in the past where problems show up and had to fix them. There are many things that generate theme issues, so let me take you through some examples and how to fix them. One of the most common theme issues is when you get a “The theme is missing the style.css stylesheet” message. After installing a theme, WordPress looks for this file because it contains important information that it needs to properly install. If you do not see the style.css file there, then you know it’s missing. If you end up with this theme issue of a missing or corrupt style.css file, the best solution is to contact the theme developer and inform them of the problem. However, if the file is there and the installation of the theme just didn’t go right, try installing once again. This problem is technically not a problem. When you change themes, the sidebars where your widgets once were may not exist in the new theme. When you activate a new theme, you will get a new set of sidebars, although you might get the odd one that is named the same as your other theme. WordPress does not know where to put your widgets, so it moves them to the Inactive Widgets section. All you need to do now is drag them into the new sidebar positions you want to publish them too. Even though this is not a bug or other technical issue, it’s more of complicated user experience. It does not matter if you are using a free theme or a premium paid theme, some have confusing features. I will admit that even I have made themes that have confusing features. This can be frustrating for you because when you find a theme that looks great, using it is a whole other story. I’ve seen themes that have over 100 options and settings–which is insane! Or a feature where you have to do several things to achieve the end result. The theme developer will say thanks for letting them know and nothing will come of it. The theme developer will offer to help you out. If you paid for your theme and you refuse their help, the developer should issue you a refund. The last one on the list is going to depend on the theme author because each website may offer different guarantees. However, I do recommend seeking help from the developer first. It happens with some theme websites where the developer does not offer setup tutorials or they lack sufficient guidance. This could be for a number of reasons, but every theme should have setup documentation (tutorials). If they don’t, then this is a theme issue relating to the developer. Solving this problem is to contact the developer for help and guidance. Explain to them that their tutorials are confusing, missing steps, or that they are hard to follow. I’ve been told that one of my features was not outlined in the documentation, so I immediately created a tutorial. If you are using a free theme, be prepared that not all theme authors give support. It’s even shocking that some premium theme sites don’t as well, or they charge extra for support. Personally, I wouldn’t use them. With Rough Pixels, theme support is just as important as the theme itself, so whether it’s a free or paid theme, I give support! If you are using any of our Free Themes from Rough Pixels, we can provide support from the wordpress.org website by going to the theme’s own support forum. For paid premium themes, log into our website here and visit the Support Forum. Every theme is going to manage featured images differently, including thumbnails for galleries, and plugins like recent posts, related posts, etc. Different areas of your website or page may require a few thumbnails that use various dimensions. Some themes will not do anything with post thumbnails, while others will automatically crop and resize your image uploads. I cannot speak for other theme sites, but Rough Pixels gives you the option to create thumbnails with every upload. This means that if you want to keep the thumbnails you have as-is, you can leave the thumbnail settings disabled. But what happens if you change themes and you want to correct or adapt your post thumbnails to the new theme? First, check your theme to see if it offers the option to re-crop your images. If not, there is a very popular plugin that regenerates your previously uploaded images based on the new theme’s thumbnail dimensions. Regenerate Thumbnails, By Alex Mills (Viper007Bond) is a very popular plugin with over 1 million active users. Easy to use, it simply regenerates all your image thumbnails with the new theme’s required dimensions. Most themes have options or settings to help you make custom changes, such as colours. Oddly, when you make changes and see in the preview window of the Customizer, they don’t show when you click save. With any changes you make, the front of your site simply doesn’t want to show them. Disable or Clear Cache: The most common theme issue when this happens can be a result of using some sort of caching plugin. It could even be your browser’s cache. You will want to disable any caching plugin (or service) and see if that helps. Try clearing your browser cache as well. WordPress Customizer: When using the theme customizer in WordPress, any changes you make may show in the preview window, but they will not take effect on the front of your site until you click the Save & Publish button. Browser Webmaster Tools: This is similar to a browser cache, but popular browsers such as Chrome, Firefox, and Edge, have their own webmaster tools. These are using for customizing or troubleshooting issues with a web page from within the browser window. 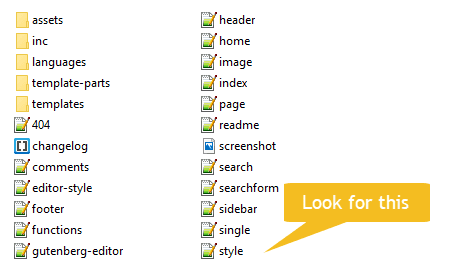 To open these webmaster tools, press the F12 function key on your keyboard. Disable the cache. With the cache tab open in the tools, I would also go to your web page and press the F5 function key on your keyboard to refresh the page. This should then show your new changes. Theme Issues can happen even if you are simply updating a theme. One very common issue that happens when updating, is that you lose any theme modifications you previously made. This relates to changes you made directly to your theme files. After updating, you discover everything you did is not gone! Unfortunately, this happens a lot because the individual modified the theme files directly. Whenever you update a theme, your current theme files are completely overwritten, therefore losing everything you’ve done. This also means that unless you have a backup of your website or theme, your changes are permanently lost. If you need to change anything to your theme, it’s strongly recommended that you create a child theme. The advantage of a child theme is that when your original theme (the parent theme) has an update, you don’t lose any modifications you made because they exist in the child theme. There are always potential theme issues that can happen other than what I’ve talked about above. If for any reason after installing a new theme or updating one, you discover problems, or simply need help, it’s best to contact the theme developer if you are unable to solve the problem(s).